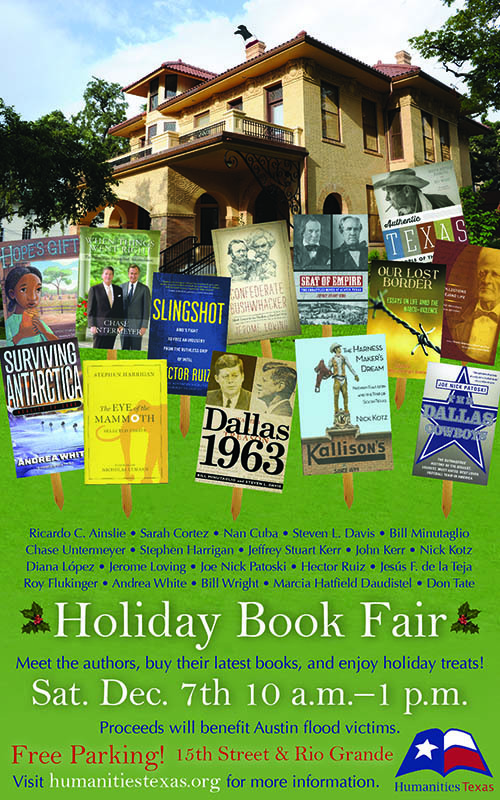 Humanities Texas will host its sixth annual Holiday Book Fair at the historic Byrne-Reed House on the corner of 15th and Rio Grande Streets in downtown Austin on Saturday, December 6, from 10 a.m. to 1 p.m.
A number of noteworthy authors, including Lawrence Wright, Sarah Bird, James Magnuson, Elizabeth Crook, S. C. Gwynne, Naomi Shihab Nye, Bill Wittliff, Carrie Fountain, M. M. McAllen, Jacqueline Jones, Richard Parker, Margaret Lewis Furse, John Taliaferro, Wayne Thorburn, Emilio Zamora, Chris Tomlinson, James E. Bruseth, Tracy Dahlby, and Steve Wilson, will visit with the public and sign copies of their latest books, which Humanities Texas will offer for purchase at a discounted price. Available titles include works of fiction, non-fiction, and poetry with selections for both adult and youth audiences. Humanities Texas will have books available for purchase at a discounted price, with all proceeds benefiting Texas libraries. Free parking will be available in the St. Martin’s Evangelical Lutheran Church lot on the northwest corner of 15th and Rio Grande Streets. Coffee will be available alongside a sale of homemade and donated pastries and baked goods. All of the proceeds from the bake sale will also benefit Texas libraries. 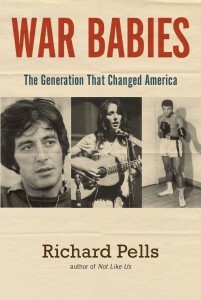 War Babies: The Generation that Changed America by Richard Pells, emeritus professor of history, was released in August by Cultural History Press. Pells examines the lives of famous Americans born between 1939 and 1945, including Joan Baez, Bob Dylan, Francis Ford Coppola, Martin Scorsese, Bob Woodward, Carl Bernstein, John Kerry and Nancy Pelosi. 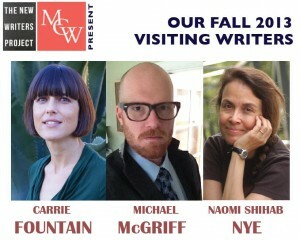 The UT Michener Center for Writers will host an evening with our visiting poets and alums NAOMI SHIHAB NYE, CARRIE FOUNTAIN, and MICHAEL MCGRIFF on Thursday, December 5, 2013 at 7:30 pm in the Avaya Auditorium, POB 2.302. San Antonio native Nye is a force of nature in American poetry who has taught for the Michener Center numerous times over the years. Fountain and McGriff are distinguished alums who are teaching for UT’s Department of English New Writers Project and the MCW, respectively, this fall. Love reading? 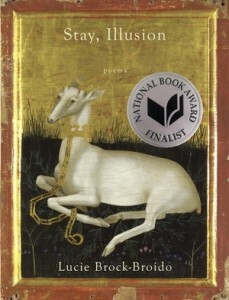 Need a great present for those bibliophiles on your holiday list? Want to meet some talented Texas authors? Come by the Byrne-Reed House (1410 Rio Grande Street) for Humanities Texas’s fifth annual Holiday Book Fair, which will take place on Saturday, December 7, from 10 a.m. to 1 p.m.
Noteworthy authors participating in this year’s festive event include Bill Minutaglio, Steven Harrigan, Nick Kotz, Joe Nick Patoski, Chase Untermeyer, Jesús F. de la Teja, Jerome Loving, Ricardo C. Ainslie, Sarah Cortez, Nan Cuba, Diana Lopez, Hector Ruiz, Don Tate, and Andrea White. 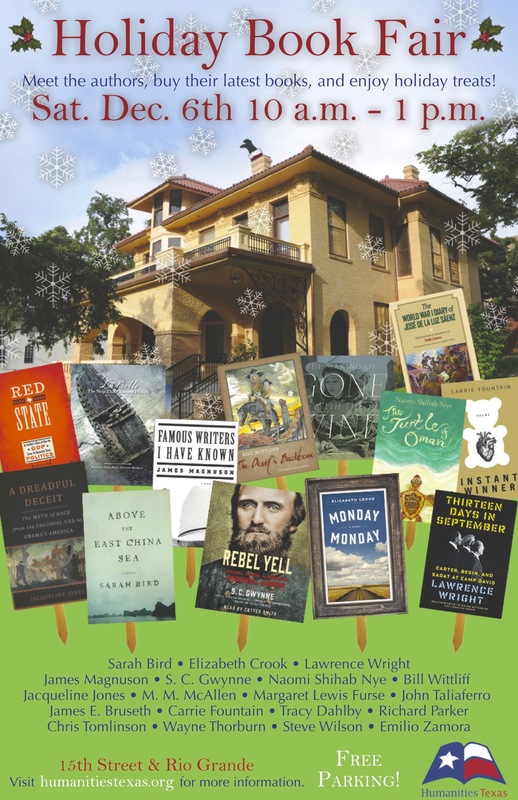 Authors will visit with holiday shoppers and sign copies of their latest books, which Humanities Texas will have available for purchase at a discounted price. Or simply come by for good conversation and delicious homemade baked goods and hot coffee. Free parking will be available in the St. Martin’s Lutheran Church lot on the northwest corner of 15th and Rio Grande Streets. All proceeds from the book fair and bake sale will benefit Austin flood victims. Visit www.humanitiestexas.org, contact us at 512-440-1991, or find us on Facebook or Twitter for more details about this event. Texas Bookshelf is a major initiative by UT Press that will chronicle the Texas mystique and the state’s history through a series of 16 books over five years. According to Brady Dyer, UT Press marketing, communications and sales manager, this is the first such project undertaken by a university press to capture the culture and history of a state in such an in-depth way. UT Austin faculty who will pen the 16 titles as part of the Texas Bookshelf. Fifteen additional titles will follow Harrigan’s. All are to be written by UT Austin faculty and will focus on such topics as politics, art, architecture, film, music, photography, sports, fodoways, business, books and theatre as well as the African American experience, a history of the Texas Borderlands and the Tejano/a experience. 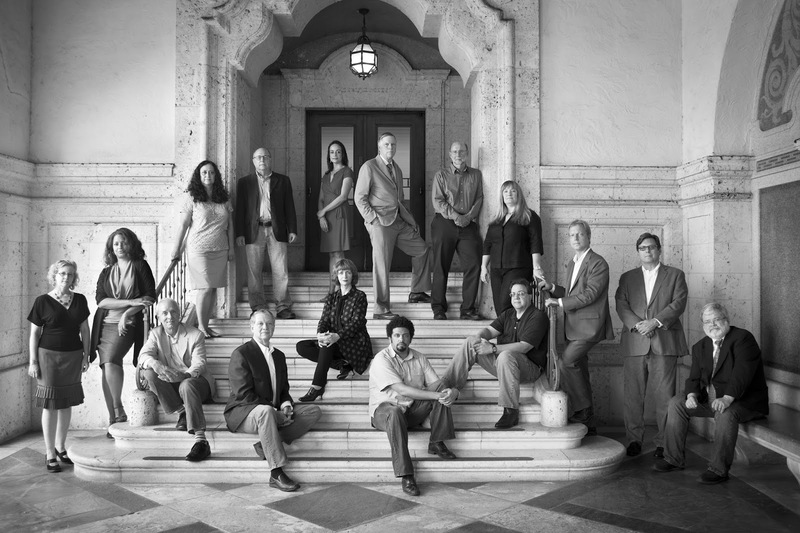 Read more about the project and the participating faculty authors on the UT Press blog. The Texas Institute for Literary & Textual Studies (TILTS) welcomes the prolific poet and novelist Gerald Vizenor, a citizen of the White Earth Nation in Minnesota, for a public lecture on Survivance and Totemic Motion in Native American Indian Literature and Art. The lecture will be held in the Prothro Theater at the Harry Ransom Center on Thursday, September 5, at 3:30. A reception will follow in the Tom Lea Room, where the exhibit Native American Literature at the Harry Ransom Center will be on display. The 2013-2014 edition of TILTS, Reading Race in Literature & Film, brings together scholars, artists, filmmakers, and writers for conversations about the ways that we experience race and ethnicity. 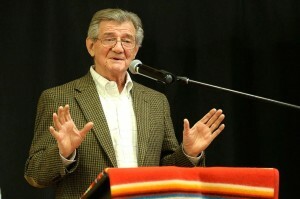 As the leading theorist of Native American identity and representation, Vizenor has had a profound influence on indigenous, cultural, and literary studies. He was also a delegate to the White Earth Constitutional Convention and the principal writer of the new Constitution of the White Earth Nation in Minnesota. He is a professor emeritus at University California Berkley and currently professor of American Studies at the University of New Mexico. TILTS is an annual, multidisciplinary initiative that showcases dynamic scholarship in literary and textual based studies. TILTS is sponsored by the Office of the President, the Vice-Provost, the College of Liberal Arts, and the Department of English of The University of Texas at Austin. Co-sponsors for this event include: Native American and Indigenous Studies, the Humanities Institute, and the Harry Ransom Center.